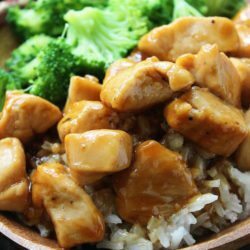 This Teriyaki Chicken is one of my favorite easy dinner ideas! It is so simple and quick to throw together for an easy dinner recipe. Look no further for some amazing Asian food at home! This Teriyaki Chicken is seriously the best when it comes to easy dinner recipes that don’t take a lot of time or ingredients to put together, but tastes amazing! I don’t know how many times in the last few weeks that I haven’t had a dinner plan or didn’t want the one that I did have planned and I turned to this recipe instead. It tastes great enough that I don’t get sick of it either! Start by cooking the chicken until no longer pink. Be sure to salt and pepper it for some added flavor. Make a homemade teriyaki sauce by mixing soy sauce, brown sugar, garlic, rice vinegar, and corn starch. Cook in a skillet until thickened. 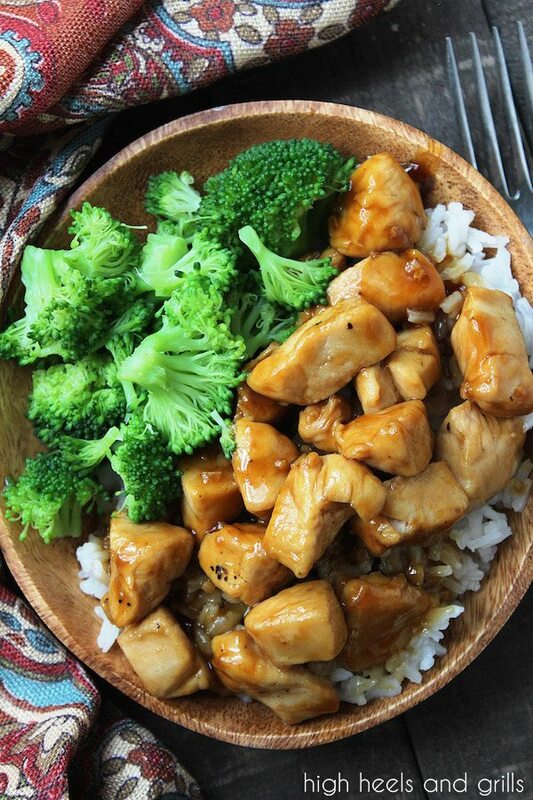 Toss the chicken with the sauce and enjoy it over rice for some added flavor! This seems like a no-brainer and maybe it is, but I wanted to list a few of the benefits we have seen to using simple recipes to make meals for your family. Time. This is probably my biggest soapbox when it comes to making dinner. Why spend hours in the kitchen when it will all get eaten in five minutes?! Use your extra time you save by making easy dinner recipes to play on the ground with your kids, jump in the car and get ice cream, or do the dishes together! Easy recipes = easy ingredients. And easy ingredients usually mean they cost less money, so there is so much winning going on all around! When dinners are easy to make, you can feel less stressed and more able to let your kids get in the kitchen with you. Our kids love sitting on the counter and helping us cook and when it’s not a complicated recipe, I end up loving it too! Even if you don’t have kids or maybe they are grown and out of the house, you will love the ease of being able to nourish your body without having to get overwhelmed by it! I hope you enjoy this delicious Teriyaki Chicken as much as we do in our house. It’s one of the few meals that I know my two and five year olds will both eat, so it gets made quite often here. Enjoy! 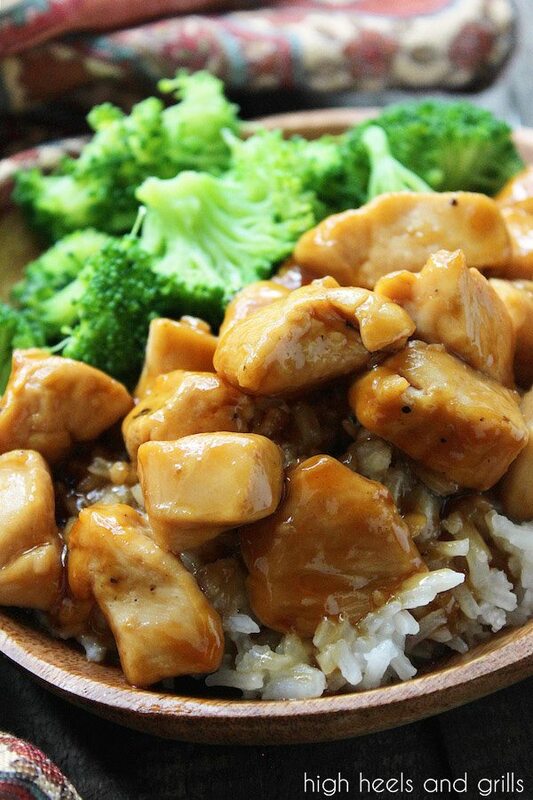 If you want great, homemade Asian food, then this Easy Chicken Teriyaki is where it's at! It is so simple and quick to throw together for an easy dinner recipe. Salt and pepper chicken, according to taste, and add to skillet. Cook until no longer pink inside, stirring often. In a small bowl, combine soy sauce, brown sugar, garlic, vinegar and cornstarch. Stir until cornstarch is fully mixed. Add sauce to skillet and stir constantly until thickened and shiny. Recipe adapted from Crunchy Creamy Sweet. I made this last night and was hoping for leftovers to take to work, it was so good that leftovers definitely didn’t happen 🙂 I upped the sauce just a bit and cooked some broccoli with the chicken and sauce and it was delicious! GONNA TRY THIS REALLY SOON! I’m so glad you liked it!! Thanks for your feedback.